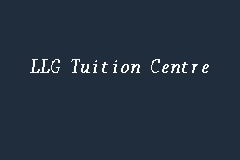 LLG is a special Tuition Centre - special for students because everyone at the centre works hard to make it so. Everyone who comes to LLG is more than just students - they're a person. And we do everything we can to support our students' development as learners. LLG is a better education provider as we have the best and qualified teachers to educate the children. We keep our courses up-to-date. We work closely with the Education Ministry to make sure that our courses are following the latest syllabus. Subjects include: Bahasa Malaysia, English, Bahasa Cina, Mathematics, Science, Karangan, Chinese Essays, Kajian Tempatan. Subjects include: Bahasa Malaysia, English, Mathematics, Science, Karangan. Subjects include: Bahasa Malaysia, English, Mathematics, Science, Bahasa Cina, Kimia, Biology, Perdagangan. Courses include: Art Class, Mental Arithmetics. Start share your experience with LLG Tuition Centre today!